Samsonite is probably the best known brand in the trunk segment and also the largest manufacturer of trolley. The company manages to offer contemporary design with high quality in material and processing for a still affordable price. 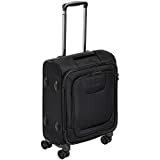 So many suitcases and bags are settled in the middle to high price segment, which is why they are recommended preferably to people who want to use their luggage not only for a single trip. 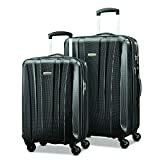 Because of that those who wish to use their baggage several times, should definitely look out for what Samsonite has to offer. 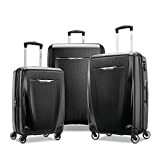 The range of Samsonite is very extensive. 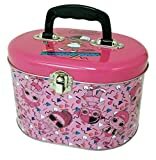 Trolleys with soft shell as well as hard case are made available in various designs. In addition, many travel bags and smaller pockets are included in range as hand luggage or carry on baggage. The high quality of the materials make the products of Samsonite work perfectly. The company has its origins in 1910 in the USA. The brothers Shwayder establish one of the first wooden chests and establish the company. In 1941, an innovative luggage series was presented with the name Stream Lite. It consisted of a wooden frame construction with vulcanized fiber plates with an look of raw leader. In 1962, the first ABS briefcase for a new generation of flexible business people had been developed. The first Samsonite suitcase on wheels was completed twelve years later. From the 2000s Samsonite began first aluminum products manufacture. 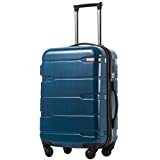 The first spinners model with four wheels for more stability and mobility was launched in 2003, allowing travelers from that date to have the opportunity to use their case either by pulling or rolling. 2008: The first Cosmolite was made out of the innovative Curv material and was at this point the strongest and lightest Samsonite suitcase ever. In 2014, a new lightweight collection combines a frame lock with the revolutionary Curv material. Ease had never been so safe and security had never been so easy. The Cosmolite by Samsonite is also a very good trolley. The design is well performed and the patented material curv is the best on the market. 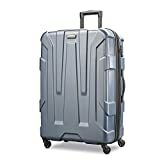 In view of the price/performance ratio the suitcase also provides a good quality, handling and processing at a little bit more reasonable price in comparison to the Rimowa Salsa Air. 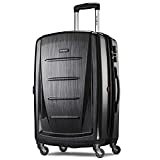 The Samsonite Cosmolite spinner is best for travelers who have a medium to high travel volumes.